I feel like I posted my last Sunday Snippets only yesterday – where is the time going at the moment?! I’m sure when I was younger time seemed to go so slowly, but now I’m getting older it’s just flying by! It’s been a fairly good week overall, with lots of time spent with family. I really treasure spending time with my family these days. I think with both my brothers moving out and losing three of my Grandparents, it has made me realise how precious time together is. Unfortunately I’ve been having big problems with my digestive symptoms this week though, which hasn’t been nice at all. Last Sunday I had planned to go out to a lovely local tearoom with my brother’s fiancé and a couple of the other bridesmaids, but unfortunately I had to cancel because I was feeling too unwell. So, instead, I just had a chilled out day, which I really needed. I spent the morning doing a bit of blogging and pottering around. In the afternoon Emma (my brother’s fiancé) and her sister came over so we could still do a bit of wedding planning. We were actually quite productive and have put a date in the diary for a shopping trip to look for shoes and accessories for the wedding. After Emma’s sister had gone home, we relaxed and watched The Princess and the Frog, which I’d never actually seen before (I know, I’m a terrible Disney fan!) 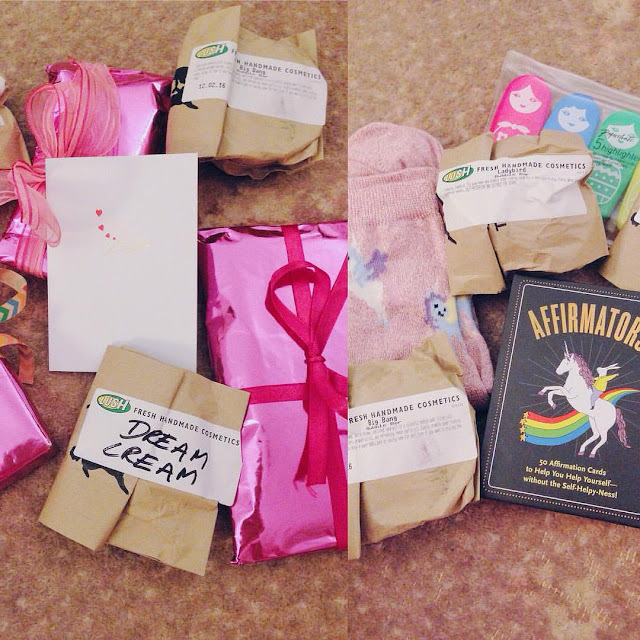 I also opened this adorable Valentine’s gift swap, which made my day as a singleton so much nicer. Monday was a really relaxed day, which was so lovely. I spent my morning editing a video to upload to YouTube (it’s up now, so check it out if you have a minute!) I then dyed my sister’s hair for her, but it didn’t go quite right, so it needed to be done a second time to make sure it was completely covered. I then spent the afternoon writing letters to some of my penpals and just generally relaxing. My lovely friend, Libby, sent me this Erin Condren planner, which I am absolutely bowled over by! She bought this one in the vertical layout but didn’t get on with it, so asked if I would like it, and of course I said yes! 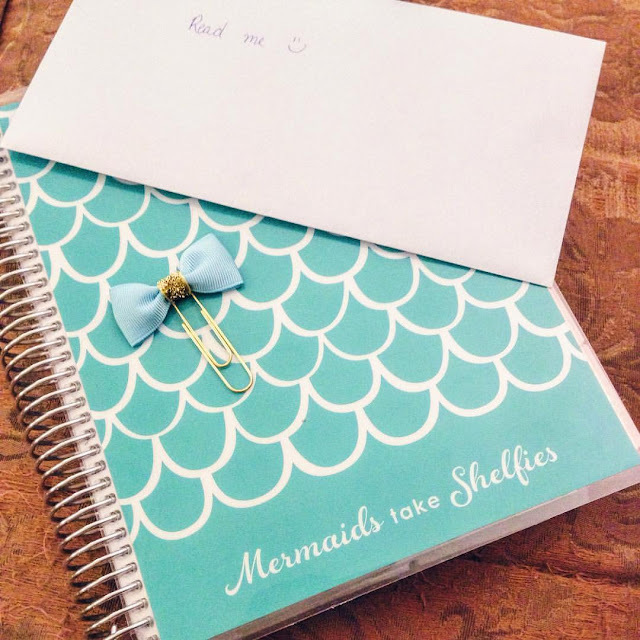 She also included a load of accessories inside, so I’m really excited to start using it to plan my blog and YouTube uploads. Tuesday was fairly busy – I had to be up and out of the house by 7.30am as I had an early appointment with my physio. He did some acupuncture, which will possibly be my last session for a while. I couldn’t face eating breakfast before my appointment, so afterwards my Dad and I went to Costa. 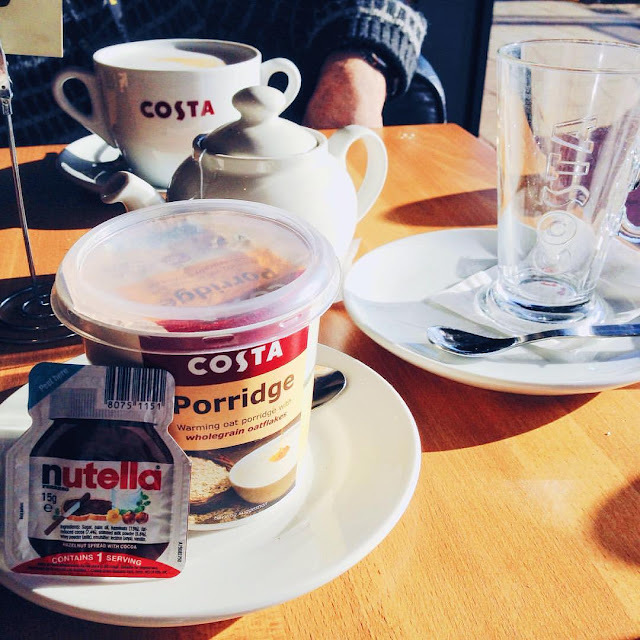 I decided to go for my trusty porridge with Nutella, which was delicious (even if I couldn’t manage it all!) We chilled out there for a while, then popped into Homesense so I could pick up some storage boxes. When we got home, my Mum asked if I wanted to pop to Tesco with her, so I went along as I had a few bits I needed to get. I got a bit upset looking at all the nice food – my head just feels in a bit of a mess at the moment with trying to recover from an eating disorder, wanting to eat yummy food but struggling like mad with digestive problems and a restrictive diet I’m meant to be following. I spent the afternoon catching up on emails and Facebook messages, while watching Death in Paradise. Wednesday was really lovely, as I only had one appointment, and for once it wasn’t a medical one! I spent the morning working on a YouTube video and writing a blog post. I then treated my Mum to having her nails done as an early birthday present. I did a bit of Uni work while she had them done, and then I had a back massage, which was desperately needed! I spent the rest of the afternoon writing penpal letters, while watching Silent Witness. 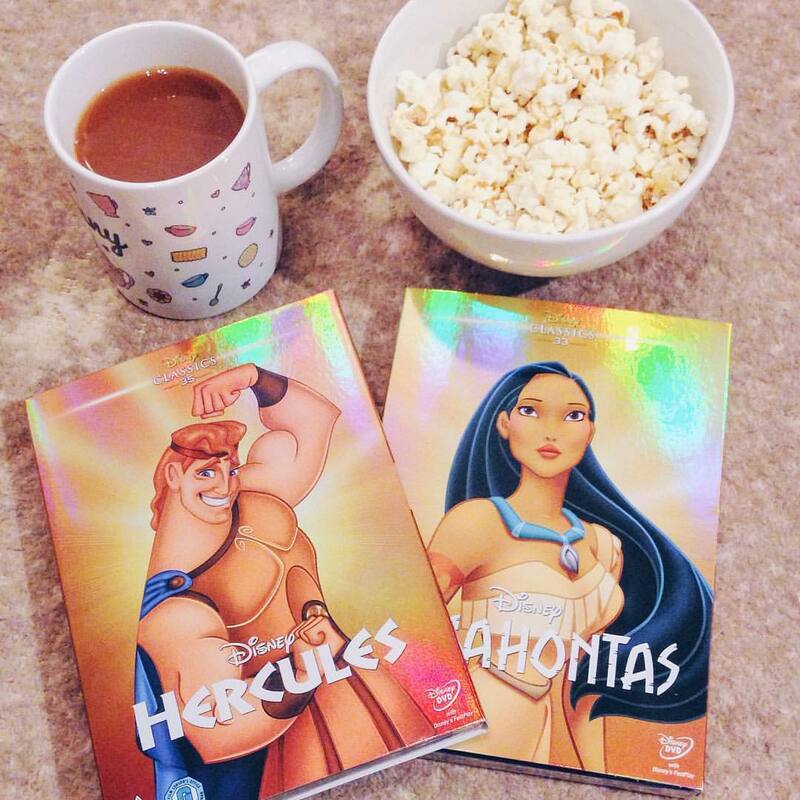 I ordered a couple more Disney DVDs to add to my collection, as they were on offer at Amazon, and they came in the post, which I was excited about. Thursday is my full day at Uni, so I’m always pretty wiped out by the end of the day. We’re starting to work on a newspaper, which is looking pretty exciting and we have loads of ideas. So we spent the day doing lots of planning and learning a bit about InDesign, which we will be using to put our newspaper together. At lunchtime I went to Starbucks with a few friends, which was really lovely. 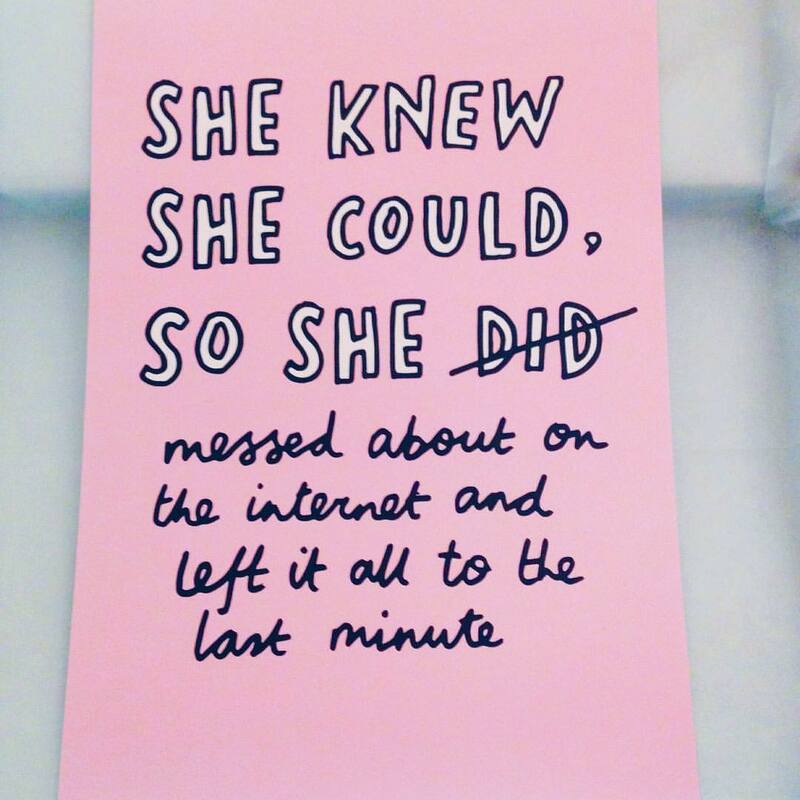 When I got home I did a bit of prep for my Mum’s birthday, and then opened some post. This Veronica Dearly quote completely describes me! Friday was a really lovely day, as it was my Mum’s birthday. I started my day down at the doctors for an ECG, but after nearly 45 minutes of not getting a reading we gave up. They’ve got to get the machine looked at and I had to rebook another appointment, which was a bit frustrating. We then went to pick up Lisa and Emma (both my brothers fiancés) and headed to Farnham for a bit of shopping. My Dad bought my Mum her birthday present – a lovely coat from Joules (and I may have bought a couple of tops too!) We then went to Maison Blanc for a spot of lunch, which was lovely. I had to go to a lecture in the afternoon so the others headed home. Unfortunately, I felt more and more unwell as the afternoon went on, with burning pain in my abdomen. I eventually came home and curled up on the sofa in pain. Everyone came round in the evening for dinner, cake (how awesome is the cake!) and to watch my Mum open her presents. I really struggled to focus on enjoying it and was nearly in tears because I felt so bad. I think I fell asleep once the presents had been opened and my Dad ended up waking me at midnight to go to bed. Yesterday was a bit more relaxing thankfully. I had a lie-in and then a very quiet morning, as I was still not feeling brilliant. I then went to Next with my Mum for a little wander round. We had lunch in Costa and had a browse round the shop. 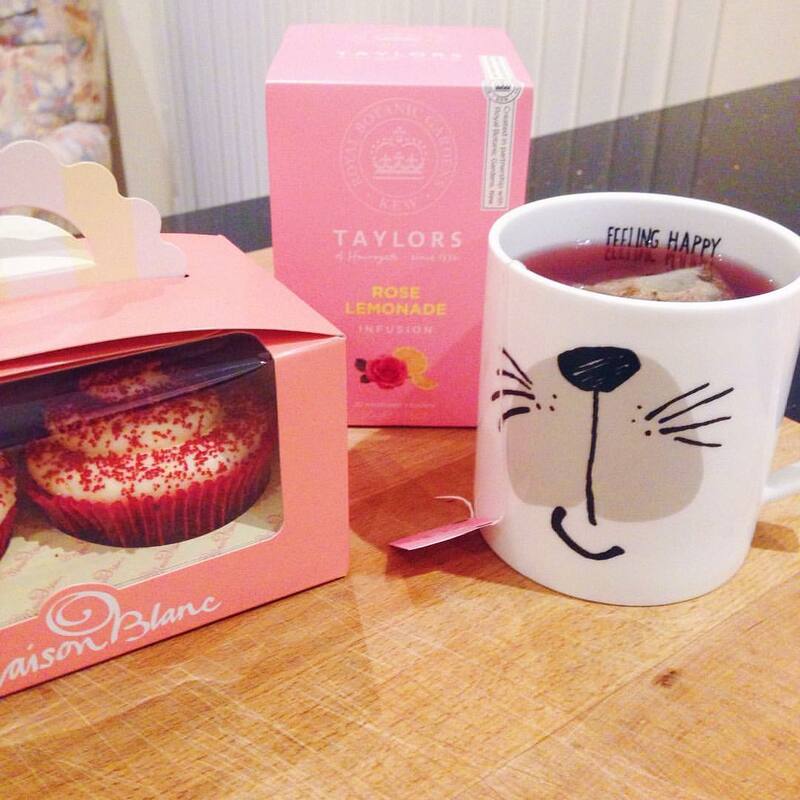 I didn’t really find anything I wanted, apart from this adorable mug, which has a dog face on one side and a cat on the other. When we got home, I cuddled the dogs for a while and watched Despicable Me 2. If you haven’t read my blog before, I just wanted to let you know that I have a second blog, which mainly focuses on my health in more depth than I talk about it here. It’s largely for friends and family to follow and keep up with what’s going on, but if it’s something you would be interested in reading as well, you are more than welcome to follow me over there. It’s called Unicorns and Floral Crowns and you can find it by clicking here. I haven’t updated it for a while, but I hope to get into a routine soon and am planning to write a catch up post very soon. I’m also trying to post on Snapchat a bit more, so if you fancy following me, my username is Jennycole44. Sounds like an enjoyable week overall! Shame you weren't feeling so good for some of it, but still managed to do lots of good bits! I do love me some nutella porridge, delish! 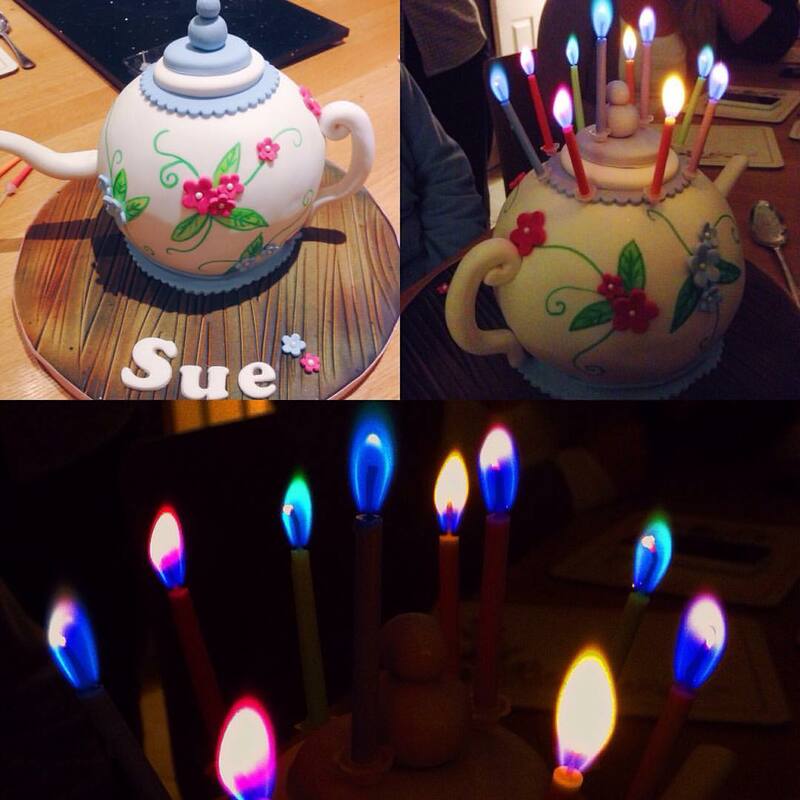 Wow I absolutely love the cake, my mum would adore that as quite an avid teapot hoarder! Happy belated birthday to your mum too! Sounds like a nice week despite feeling a bit under the weather. Also, I hope all the wedding planning is going well. When my sister got married I kind of just left her to it and was no help at all aha, would not advise that, she wasn't best pleased!